Make the right choice for your outdated furniture by investing in reupholstering services from the experts. 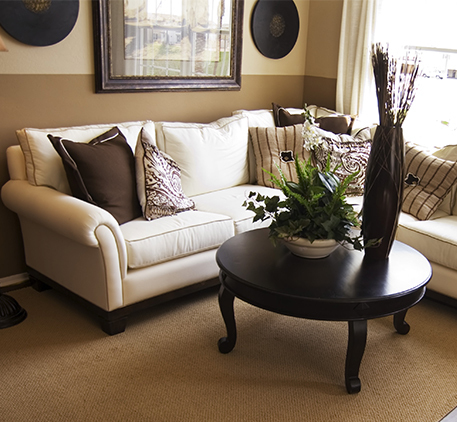 Imperial Custom Upholstery, LLC is proud to set the local standard for quality, efficiency, and customization. For more than 30 years, our upholstery service has created and restored worn-out fabric, leather, and other furniture materials. Keep every piece in your home or business looking clean, trim, and inviting with help from our team. Whether you’re looking to restore a tired piece or invent a new look altogether, our upholstering experts are ready to help. Tell us what you have in mind, and we’ll provide you with a free estimate to help you understand your options and plans in the context of your budget. We’re committed to delivering refurbished and custom pieces you’ll love, so be sure to mention any special preferences or requests. When your furniture needs TLC, turn to professionals with more than three decades of upholstering experience under their belts. Our industry veterans understand the role that furniture plays in your home or business. Appearance is important, and first impressions are formed within minutes of seeing something – that’s why ensuring your furniture looks is best is essential. Unlike other local upholstery companies in Phoenix, AZ, ours places an emphasis on customers’ preferences for their pieces. We treat sofas, cushions, and drapes according to their unique needs – that’s why we’re able to achieve high-end results, every time. Let us know what you have in mind for your furniture when you reach out to schedule your free, personalized consultation. Most homeowners have a few pieces of furniture in their homes that are totally unique. Perhaps yours curtains were handmade several years ago by a family member, or you purchased a one-of-a-kind ottoman from an antique store. No matter what the piece is that you want to bring a new look to, Imperial Custom Upholstery, LLC has the experience and equipment needed to make a new piece of furniture or reupholster it. Not only that, but our team is able to add custom upholstery to any piece in your collection. If you’re tired of looking at the same old print, or feeling the same old sensations, just reach out – we’re more than happy to show you what’s possible for your furniture. From couches and chairs to restaurant booths and exam tables, we’re ready to work with all kinds of furnishings. Contact us to schedule your personalized consultation. We proudly serve customers in Phoenix, Scottsdale, Mesa, Chandler, Gilbert, and Peoria, Arizona. Phoenix, Scottsdale, Mesa, Chandler, Gilbert, Glendale, Goodyear, Cave Creek, Carefree, and Peoria, Arizona.